Imagine standing in the open prairie, feeling the wind whip your hair into a mess of tangles and staring out onto a heard of wild mustangs. Imagine tumbleweeds blowing across the dry sage-covered earth and seeing for miles out to the horizon. Imagine what the Wild West must have looked, sounded and smelled like. 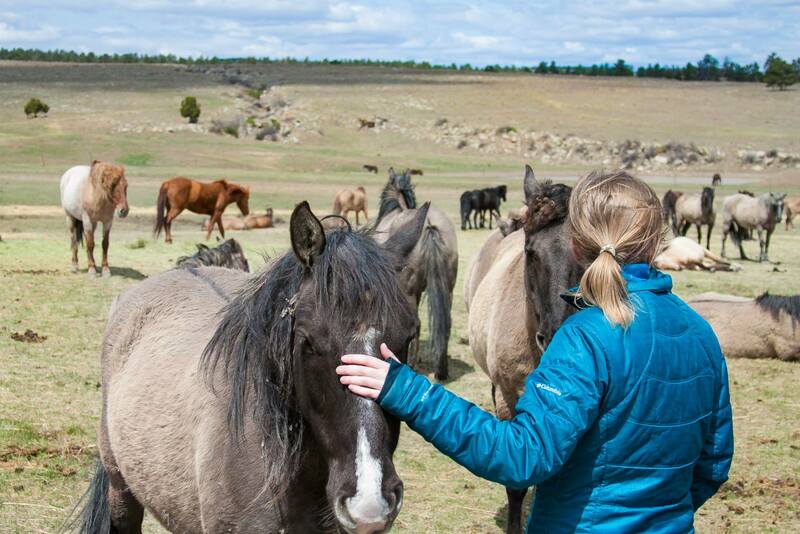 Several years ago I was given the opportunity to visit the Black Hills Wild Horse Sanctuary in South Dakota. 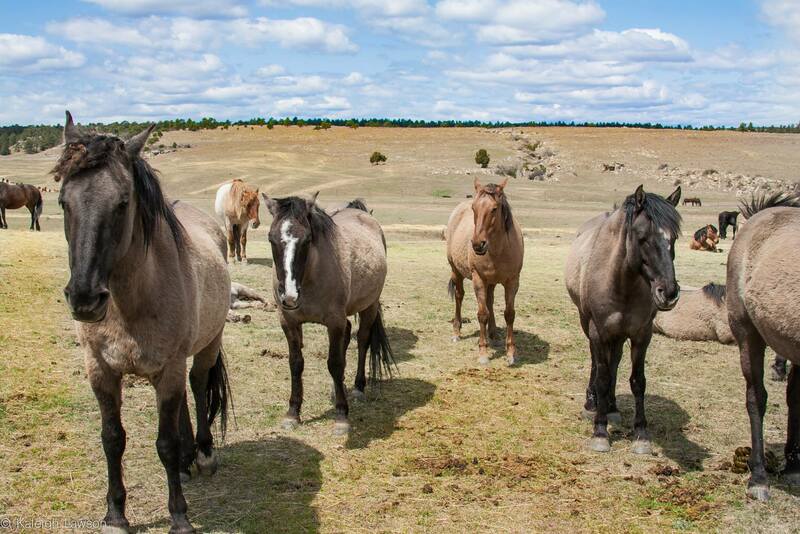 It is places like this that have been giving homes for once wild horses to roam free again, and are working to keep the spirit and myth of our nation’s wild mustang alive. I have always been a lover of horses, but after visiting the sanctuary and meeting some of the hundreds of wild horses that call this 11,000-acre piece of land home, I have an even deeper fondness and passion for these majestic creatures. 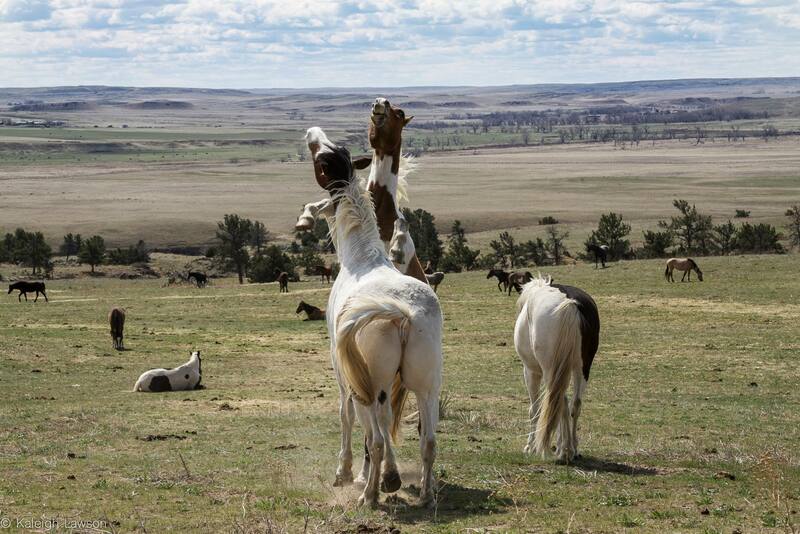 To me, it always seemed like they knew something I didn’t, and I think the mustangs I met in South Dakota certainly did. While many of these horses are still very much wild and prefer to keep their distance from visitors (and actually only make an appearance from time to time), there were a handful that had grown fond of the humans who brought them in. We drove over rocky ground, through valleys and past creeks to find where many of the horses were grazing. I climbed out of the pickup truck and looked out over the horses. It was beautiful. To my surprise, some of the horses came up to greet me and nuzzle me with their noses. I was given a warning by our tour guide to not turn my back to one of the approaching mustangs as he was known to become jealous of other horses and could fight. I didn’t want to be in the middle of that. 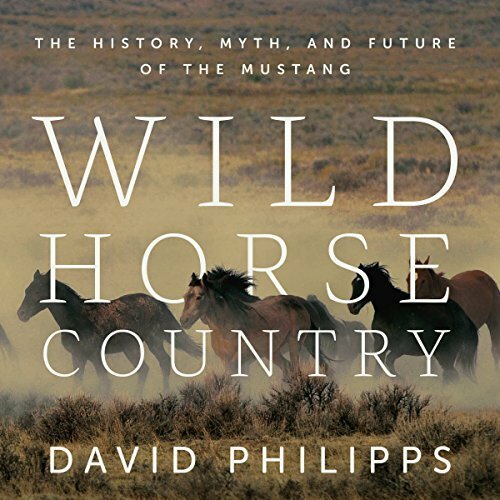 In David Philipps’ Wild Horse Country, not only does he speak about the people who rescue many of the wild mustangs, he goes into extensive detail about the history and life of the Mustang. From their status and symbol among American’s to their conflict with ranchers and the Bureau of Land Management (BLM). He writes about their rise and fall, including the stint in American history where these wild horses were captured and used for dog food. We learn about the brave men and women who stood up and gave a voice for these animals and the still very present battle of how to maintain the bands of horses from overpopulating lands and finding a humane way to do so. I thought the book did an excellent job sharing both sides of the issue. Even though I consider myself to be a wild horse advocate, I could still see where the ranchers were coming from. To a point (killing aside, of course). The book allows you to weigh, measure and determine your own opinion on the matter. If you are a horse lover, I caution you, after you listen to this book you’ll find yourself Google-ing how you can help, where you can donate, and where the issue currently stands today.